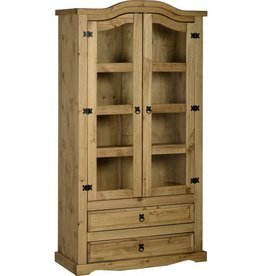 Our display cabinets come in a variety of shapes, styles, and sizes so you can be sure to find the right one for your room. Industrial style large storage cabinet. Wooden cabinet with metal detail. Plenty of storage. Hand made. 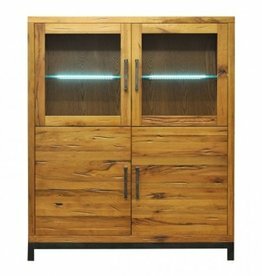 Industrial style aged oak highboard with lights. W:120 x D:50 x H:145 cm. 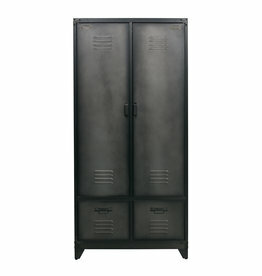 Vtwonen locker is a solid cabinet with an industrial look. 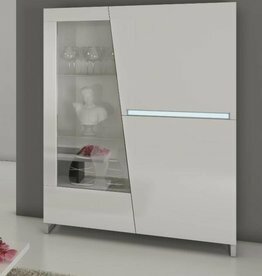 Chelsea white gloss low display cabinet. A mix of scratch resistant white melamine with beautiful high gloss fronts and oak melamine. 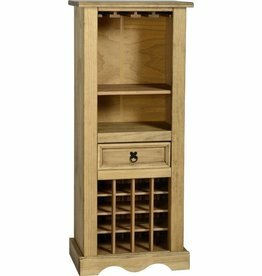 With space for 16 bottles and a hanging rack for glasses. Corona 2 door glass display. 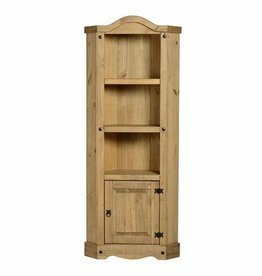 Trend 1 door display cabinet. 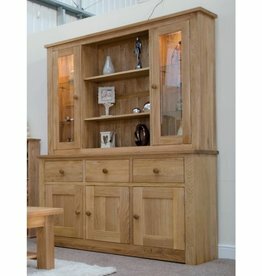 Solid oak, light oak lacquered finish. 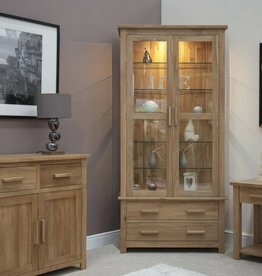 There are 2 glass shelves behind the glass fronted door and a shelf each in the right-hand side compartments. 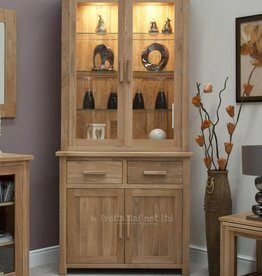 Corona 1 door 2 drawer display cabinet. Dovetailed drawer joints both front and back. 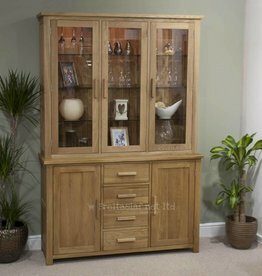 A fantastic sideboard with 3 glass doors top which will make great use of an empty space in your home. 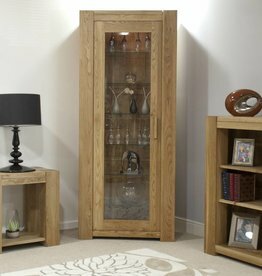 Bordeaux solid oak glazed display unit. Dovetailed drawers, soft close hinges. 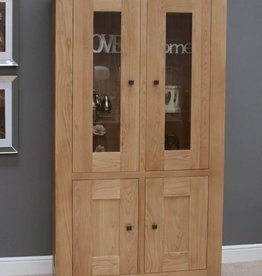 Adjustable oak shelves, bevelled glass. 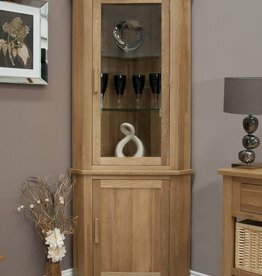 Opus oak corner display unit. Internal light, adjustable glass shelves. 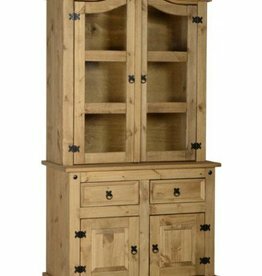 Great in the dining area for plates and crockery or use it the living area to suit your personal needs.